The AR-5312u is a high power 802.11n, 4-port Ethernet ADSL2+ Router with full routing capabilities to segment and route IP traffic. It features TR-069/098/111 and TR-068 compliance for hassle-free setup and configuration. It is best suited for residential or small office environments that need high speed internet access. 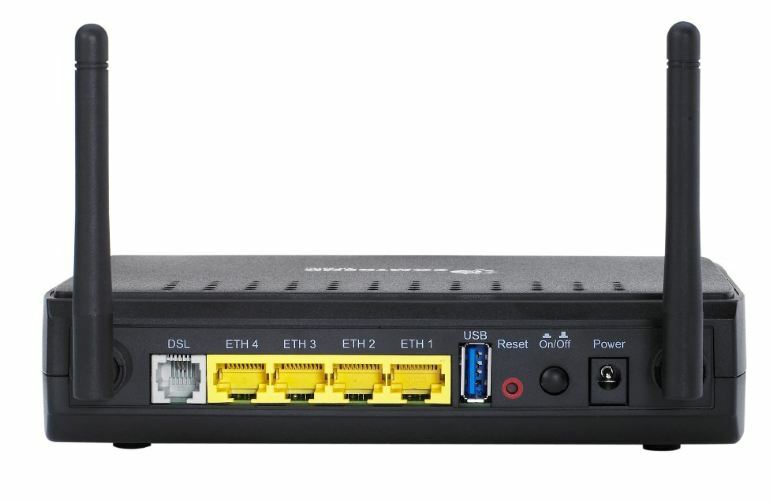 The AR-5312u is a high power 802.11n, 4-port Ethernet ADSL2+ Router with full routing capabilities to segment and route IP traffic. It features TR-069/098/111 and TR-068 compliance for hassle-free setup and configuration. It is best suited for residential or small office environments that need high speed internet access. 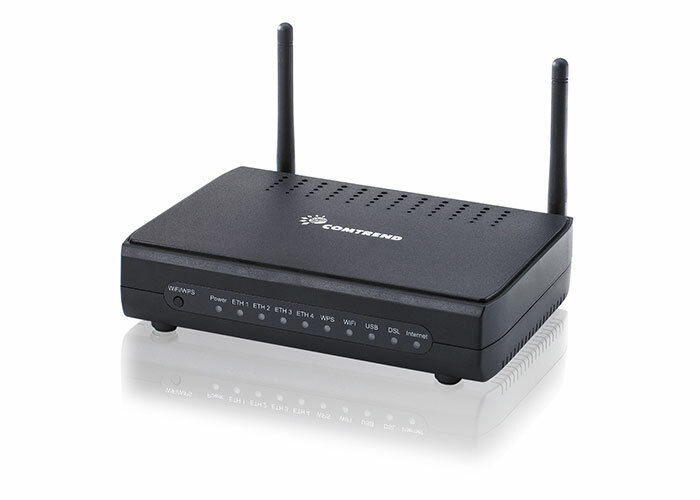 Connect with ADSL2+ OR Ethernet in FTTx The AR-5312u is an 802.11n (300Mbps) Wireless ADSL2+ router. It has four 10/100 Base-T Ethernet ports, a Wi-Fi Protected Setup (WPS) button and a Wi-Fi switch button, one USB Host port, which can support a 3G USB dongle, and is backward compatible with existing 802.11b (11Mbps) and 11g (54bps) equipment. The AR-5312u supports up to 16 contiguous virtual connections allowing for multiple simultaneous Internet connections. The AR-5312u is also designed with TR-068 compliant color panel, which eases the installation of the modem and makes it more user-friendly. The AR-5312u complies with TR-069/TR-098/ and TR-111 standards to ensure interoperability with standards-based Software and Hardware. As the first level of protection, a Stateful Firewall (with DoS protection) and NAT/PAT help to isolate the LAN from external threats. IP and MAC address filtering provide fine-grained access control to or from the network. Advanced security technologies, such as Virtual Private Networks (VPN) with PPTP pass-through, L2TP pass-through and IPSec pass-through ensure secure networking, and WPA/WPA2/802.1x/WEP guarantee rock-solid security for wireless connections. As the first level of protection, a Stateful Firewall (with DoS protection) and NAT/PAT help to isolate the LAN from external threats. IP and MAC address filtering provide fine-grained access control to or from the network. Advanced security technologies, such as Virtual Private Networks (VPN) with PPTP pass-through, L2TP pass-through and IPSec pass-through ensure secure networking, and WPA/WPA2/802.1x/WEP guarantee rock-solid security for wireless connections. RFC2684 VC-MUX, LLC/SNAP encapsulations for bridged or routed packet; RFC2364 PPP over AAL5; IPoA, PPPoA, PPPoE, Multiple PPPoE sessions on single PVC, PPPoE pass-through, PPPoE filtering of on-PPPoE packets between WAN and LAN. Packet level QoS classification rules, priority queuing using ATM TX queues, IP TOS/Precedence, 802.1p marking, DiffServ DSCP marking, Src/dest MAC addresses classification. SIP, H.323, Yahoo messenger, ICQ, RealPlayer, Net2Phone, NetMeeting, MSN, X-box, Microsoft DirectX games, etc.